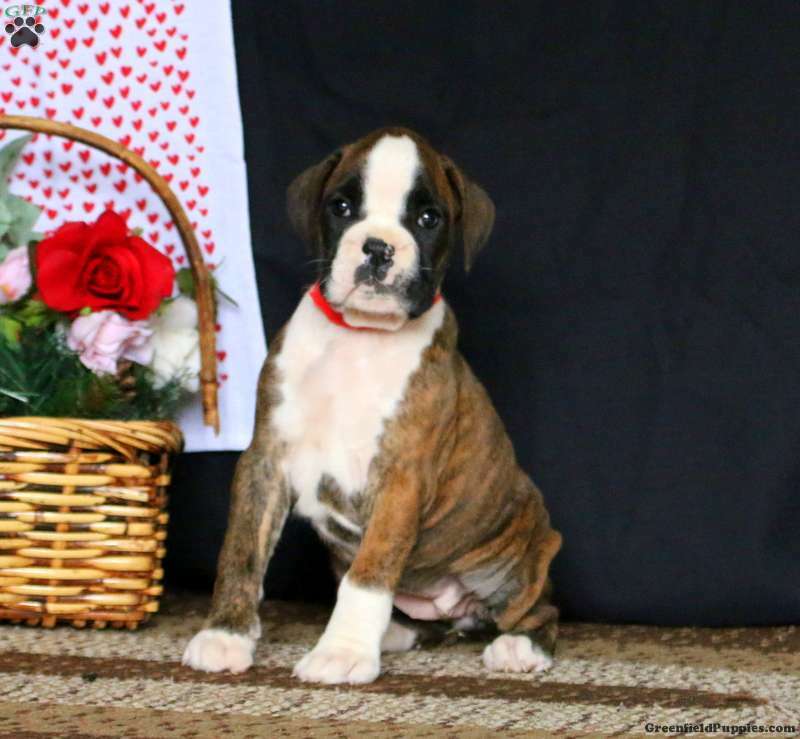 Emma is a sharp looking Boxer puppy who is gentle in nature. This lovely lady can’t wait to join in all the fun at your place. In addition to being vet checked, Emma is also up to date on shots and wormer and comes with a health guarantee from the breeder. Plus, she can be registered with the ACA. 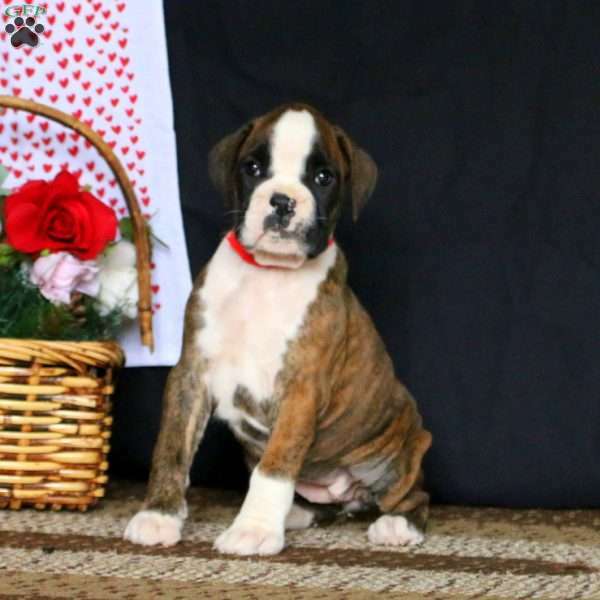 If Emma is the Boxer puppy you have been waiting for, then contact the breeder today! Mr. Lapp provides a 6 month genetic health guarantee for this puppy! 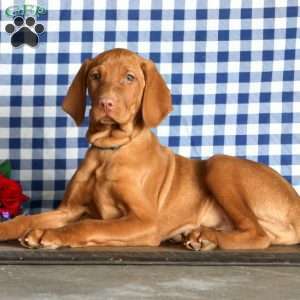 The sire has European and Champion Bloodlines! 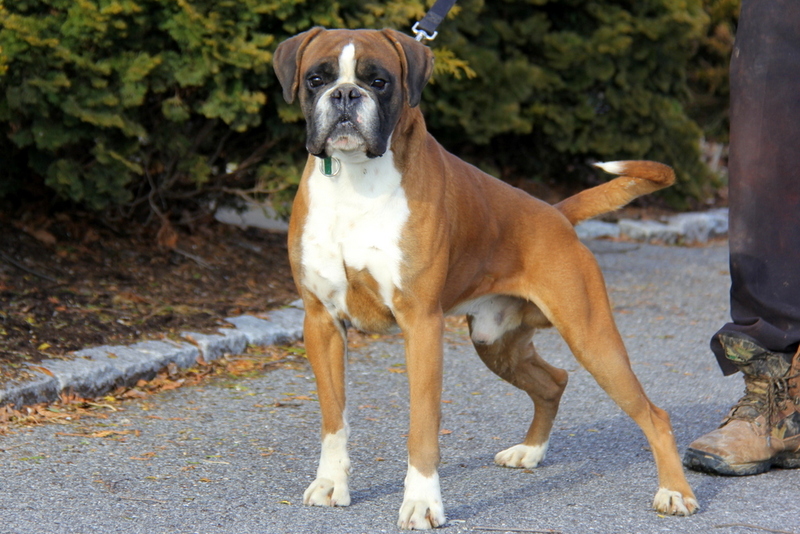 Amos Lapp is a breeder located in Coatesville, PA who currently has a sharp litter of Boxer puppies. They have a gentle nature and friendly personalities. Contact the breeder for more information!